This is no different when you use an internet dating site. You may find yourself beginning to fall in love or become very fond of a member who happens to live very far away from where you live. This does happen quite often on online dating sites. When using the internet dating site, you may have felt that you needed to cast the searching net wider and now the two of you have found each other. However, you can’t exactly hop into your car and go meet this person at a local coffee shop because both of you live on opposite sides of the country, perhaps even the world. 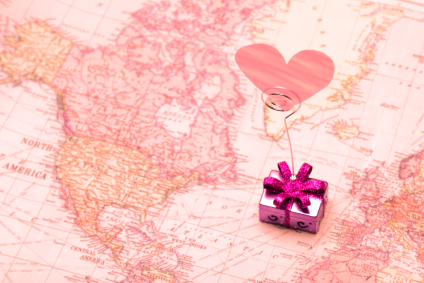 Here’s how you can maintain the long distance relationship. This is an internet dating tip that is so important to remember. When you have reached the point of being really comfortable with this person and the conversation has gone beyond the online dating site to the phone, it is so important to have a set time that is prearranged for your conversations. This is a time that both of you have purposely set aside to talk on a set day or every day. It is so important to do this because it will make the both of you get on a schedule. We all have our schedules and typically know what our set routines are. This would become a routine after a while and would help to maintain your long distance relationship. After having met on the internet dating site, you may have chatted about everything under the sun by now and it may start getting difficult to keep the conversation going. You need to ensure that you keep the conversations fresh so that the two of you don’t start getting bored with each other or start experiencing those awkward silent moments. This can be a death nail for long distance relationships especially. A way you can do this is to talk about current events. Find out what’s happening in your town or even the world at large and talk about it. Talking about current events can help to keep the conversations fresh and may also offer you new insight into the other person’s persona that you didn’t know before. If you do not have a web camera on your computer, it is highly recommended that you get one if you choose to pursue a long distance relationship online. Human beings are both emotional and visual creatures. When you are already at a disadvantage of not being able to see this person that you met through an online dating service because they are far away, it’s always reassuring to be able to see their face often. You can do this through using a web camera. As long as the two of you can visually communicate with each other at least once a week, it will maintain that human connection. Maintaining that human connection is so important in cases like these. It’s so important to do this if you are in a long distance relationship. There is only so much you can do through a dating site or over the phone. With this in mind, sending unexpected gift packages can put you at a huge advantage. The gift could be anything from a simple greeting card, tickets to an event that you know they enjoy or even jewelry. It is so important to do this often because there is nothing that sparks the heart more than receiving an unexpected gift in the mail, at your doorstep or at the office. Upon receiving this unexpected gift, the heart fills with joy. The deed alone could easily make your day. When you send each other unexpected gifts, the both of you will always be wondering what the other person is going to send next and when. The more you talk and learn about each other, the more relevant the gifts become. This helps in maintaining that emotional fire and hence keeping this long distance relationship going. Maintaining a long distance relationship in any circumstance let alone that which came about through an online dating service can be a challenge. However, you have met each other and truly want to keep this going. If that is the choice you have made, these tips will help you keep it going. Should You Try An Online Long Distance Relationship?